The last thing you want to worry about when going to hospital is your insurance. The paperwork alone can be quite daunting. Rest assured that we take care of that concern. FVH has an experienced medical insurance services department dedicated to providing complete support for our insured patients. The experienced English-speaking FVH insurance officers are used to working with international and local insurance and medical assistance companies. From your first consultation, through admission, treatment and discharge, the FVH insurance team can handle the details relating to insurance coverage for your stay with us, providing all the necessary paperwork your insurance company may require; we act on your behalf for all medical services related to outpatient, inpatient and, when required, ambulance services. 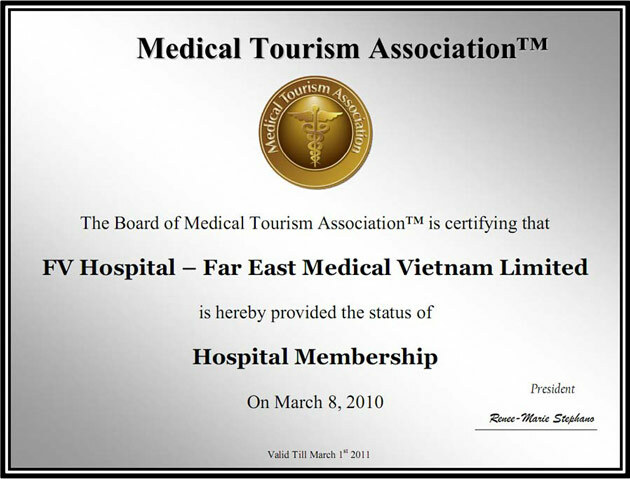 In 2006, FV Hospital provided assistance with medical insurances for more than 6000 local and international patients. Currently, we work with selected leading insurance and medical assistance companies and have set up a worldwide direct billing/cashless system with 30 major medical insurers such as William Russell, Allianz, Goodhealth, Cigna, GMC, Bupa, IHI Denmark, Global Health-AIG, Aetna, AXA PPP, Pacific, World Access, Vanbreda, Europ Assistance, CFE and others. With these contacts, we can assist you to make full use of your health insurance coverage, whichever type of medical insurance you have - local or international - whenever you utilise FV Hospital healthcare services. FVH is actively developing the number of insurance companies with whom we have third party agreements. If your health insurer is not on the list, the FVH insurance services team will be happy to contact them to discuss an agreement with us. NB: If you are an international patient planning a medical trip to FV Hospital to be fully or partially covered by your health insurance, please give us the name of your insurer, your policy number and the type of coverage or plan as early as possible. We will then coordinate with you and your facilitator (if any) to obtain the necessary guarantees of payment before you depart from home. Once appropriate guarantees of payment have been obtained, the information will be entered into the FVH electronic records system and we can then automatically process all covered charges relating to the patient’s stay as a cashless transaction.